The word "spring" can make you think of many things, including good weather, the Easter bunny, or regrowth of flowers. Do any of these things start with a letter in the word "spring"? On this sheet, make a poem called an acrostic, a popular writing activity for kids. Try your hand at an acrostic fall poem, a popular writing activity for kids. Try your hand at an acrostic summer poem, a popular writing activity for kids. Celebrate Easter by trying your hand at acrostic poetry! Try your hand at an acrostic winter poem, a popular writing activity for kids. Looking for a way to channel your spring fever? 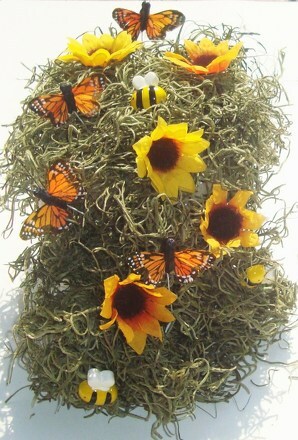 Create a beautiful spring centerpiece with your child! An acrostic poem is one of the most easy and rewarding ways for younger children to write poetry. Fill in the blanks to spell out "family". This fun acrostic poem for kids reviews simple sight words about the one place they're most familiar with besides home...school! Celebrate dear ol' dad with this Father's Day acrostic poem, a sweet and thoughtful Father's Day present that beats a necktie. What is your favorite spring activity? Answer this question and more about the spring season by filling in the blanks to complete the sentences. Spring is in full bloom, and it's time to get outside! Explore the best of the spring season with this bucket list, the perfect bank of ideas for family fun. Colour a Mandala: Spring Produce! This springtime mandala is ripe with spring produce for your child to colour.